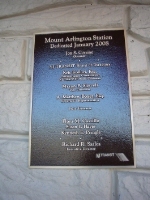 Album Info: The Mount Arlington park and ride station on the NJ Transit Montclair-Boonton/Morristown line between Dover and Lake Hopatcong is currently under construction and will open January 21, 2008. Check back here to watch the work progress. 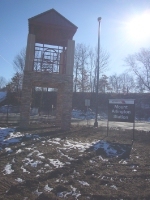 This intermodal facility is located off Interstate 80 at Exit 30 and will also serve Lakeland Route 80 buses. 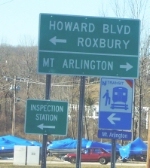 Commuters from northwest Morris, Sussex and Warren counties in New Jersey and northeastern Pennsylvania will likely been the main riders of the new station, which will have free parking for 285 spaces.